The Smart Technologies motto is to develop technologies that are so easy to use, they almost become second nature. 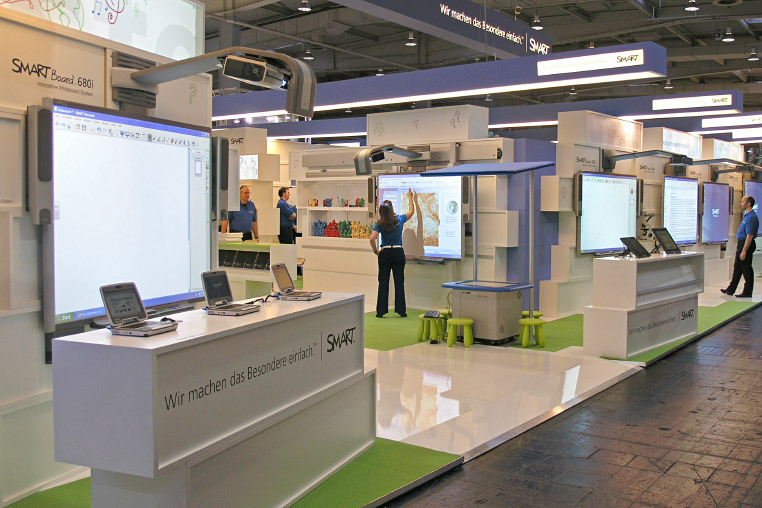 Smartboards can be written and drawn on like on a traditional blackboard. This is why graphics throughout the stand look like they have been casually hand drawn. The booth’s box-like elements can be re-stacked in a multitude of combinations. 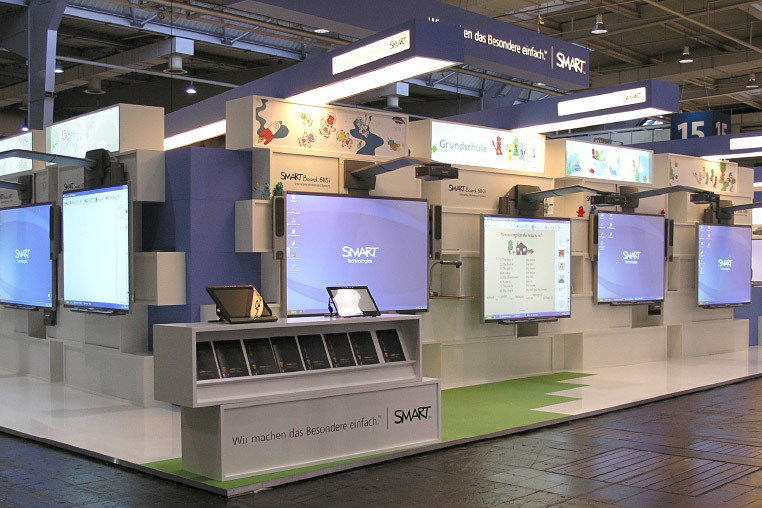 Consultation areas, stage backgrounds and lots of presentation areas for different Smartboards can be created in this way. 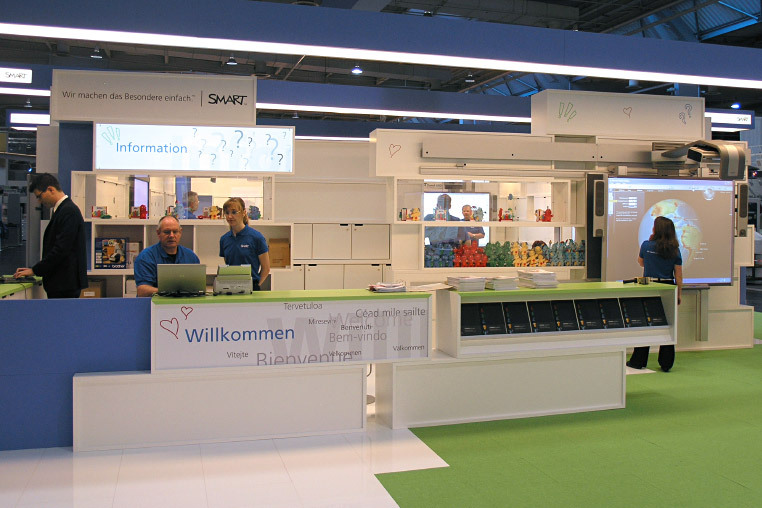 An impressive feature of the booth are the 12-m long blue beams that illuminate the stand and increase logo visibility.